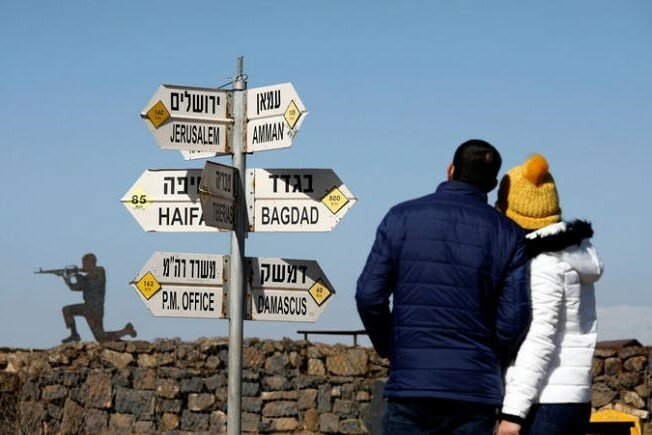 Will U.S. recognize Israeli sovereignty over the Golan Heights till April 9? U.S. President Donald Trump said on Thursday it was time to back Israeli sovereignty over the Golan Heights, territory Israel seized from Syria in the 1967 Middle East War. "After 52 years it is time for the United States to fully recognise Israel’s Sovereignty over the Golan Heights, which is of critical strategic and security importance to the State of Israel and Regional Stability!" Trump said on Twitter. The recognition of the disputed area would mark a major shift in U.S. policy a week before Israeli Prime Minister Benjamin Netanyahu arrives in Washington to meet with Trump and address the American Israel Public Affairs Committee. Netanyahu, who faces an election in Israel on April 9, has been pressing for the United States to recognise its claim to sovereignty over the Golan Heights. Israel captured much of the Golan from Syria in a 1967 war and annexed it, a move not endorsed internationally. Netanyahu raised the possibility of U.S. recognition in his first White House meeting with Trump in February 2017.